Createspace Independent Publishing Platform, 9781534695214, 438pp. The Eastern Shore fishing town of Corsica, Maryland is about to be shaken again from its idyllic way of life. Julie Seevers, owner of a local herb shop, is spending too much time on her business and her marriage begins to suffer from neglect. Julie's summer assistant, Tabs Tucker, a misanthropic teen, is on a quest to find her father. And Julie's best friend, Libby Langston, who is looking for something to ignite the languor of the hot summer, decides to help Tabs in her quest. But when Sonia Barnes, a newcomer to town, enters the shop they soon discover they are on a twisted path of betrayal, lies, clairvoyance, and even murder. Haverford House, the first in the Corsica Series, earned a five-star review from Clarion/Foreword Reviews and was a finalist in the INDIEFAB Book of the Year Award. Belle Grove continues the journey by weaving rich and unique characters through a mysterious plot set against the mystically beautiful backdrop of the Eastern Shore. 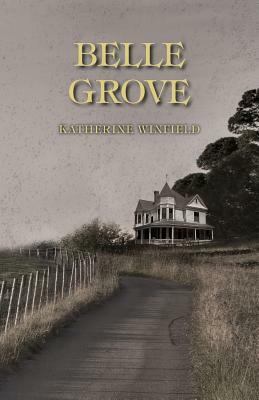 Katherine Winfield is the author of Haverford House, the first installment in the Corsica series. Haverford House was a finalist for IndieFab's Book of the Year Award and received much praise, including Clarion Foreword's five-star review. Originally from a family that lived in Washington for seven generations, Katherine presently calls a farm on the Eastern Shore of Maryland home. She is currently working on her next novel, Aurora's Song.